CONTACT US AT BOCADREAMS.COM ONLINE OR CALL 561 285 7714 TO SCHEDULE A SHOWING! Beautiful Home with 4 Bedrooms and 2 Baths located in Indian Head which is part of Logger’s run in Boca Raton. 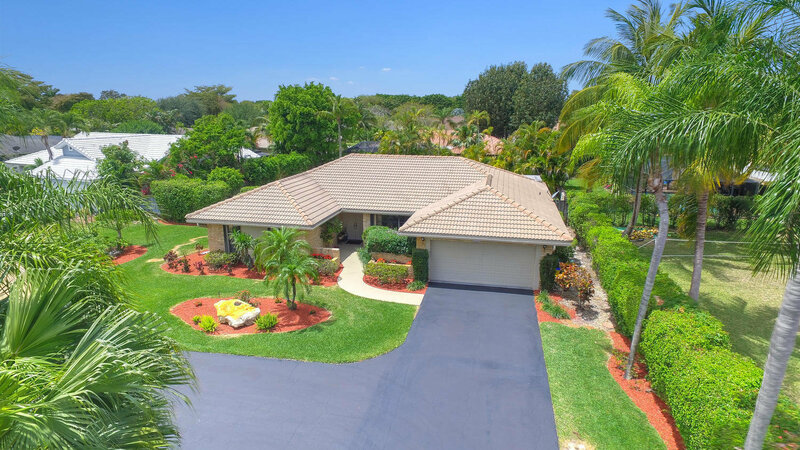 The home is located in the great school district of Sandpiper Elementary School, Loggers' Run Community Middle School, and High School: West Boca Raton High School. A great feature to the neighborhood is the low HOA fee of $70 a month which give access to all Logger’s Run recreational areas. The Home has a wonderful and private setting with a Pool and Waterfall, Large Patio and Grass Yard all fenced in. The Home has a beautiful Kitchen with Miele appliances and large Island. The home has Ceramic tile throughout home except the Master Bedroom and 1 bedroom. The Master Bathroom has been updated in 2016. The HVAC was updated in 2016. The home is well maintained and ready to move in. LOGGER’S RUN BEST KEPT SECRET! A MUST SEE HOME!! !